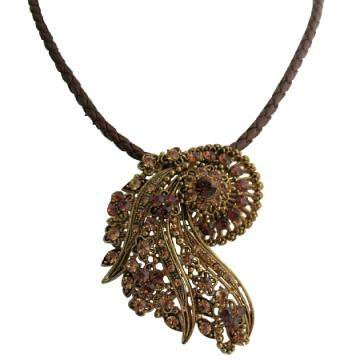 Fine jewelry inspired ancient style pendant with Smoked Topaz with matching necklace. This is a popular item to gift mother on her special day. The pendant is adorned by sparkling smoked topaz Crystals excellent quality. Live for antique vintage fashion jewelry perfect piece for you. always give the impression of being thoughtful & expressive. Buy Ancient Style Inspired Fine Jewelry Pendant & Necklace , sold & shipped by Fashion Jewelry For Everyone where you can shop online for Leading Online Retailer for Indian Fashion Jewelry. This Necklace Sets collection has been tagged as Fine Jewelry,Pendant Jewelry,Pendant Necklace,Matching Jewelry,Fine, antique jewelry.